Um, yea, this eerie af. 1. If you want to remove your shoes in a voting booth, nobody can stop you: Although Orwell is best known for his dire warnings about government oppression, he also struck a hopeful note by frequently mentioning that there will never be a law against going barefoot in a voting booth. And even if there were, they couldn’t arrest you until you stepped out. As he predicted, we still enjoy this cherished right today. Wow. That could have been written just yesterday. 3. Big hat: Orwell thought there would be a big hat. In 1937’s The Road To Wigan Pier, he wrote, “Here comes a big hat.” In 1942’s Homage To Catalonia he wrote, “A big hat is on its way.” In a 1944 op-ed for a socialist London newspaper, Orwell wrote, “When a big hat is finally around, I am going to cheer.” Decades after Orwell’s visionary proclamations about a big hat, a big hat is now around and can be seen and many people like it, but some people do not like the big hat. 4. Governments will monitor their citizens, but only during Mardi Gras: Okay, this will give you goosebumps. 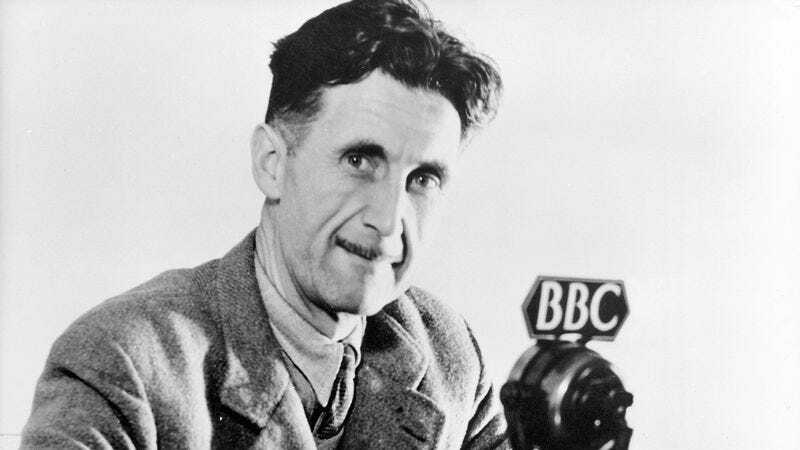 Orwell devoted over 150 pages of his landmark 1984 describing the draconian government surveillance networks that are set up, executed, then completely dismantled during one day in February when people all around the world let off a little steam with dancing, music, and cultural events. What’s even more terrifying is that Orwell’s prediction didn’t even go far enough—in today’s societies, governments run massive surveillance programs all year round, not just during Mardi Gras. That’s a dire vision that not even the forward-thinking Orwell could have ever fully predicted.